One of our most beloved holiday traditions, singer/guitarist David Broza returns to dazzle with his unique blend of Israeli- and Spanish-infused songs. The superstar and his all-star lineup of musicians spread the universal language of peace, love and understanding. Singing in Hebrew, Spanish, English and Arabic, David brings the full spectrum of his work to this project, with a unique interpretation of his rich repertoire of hits with the NY-based Cuban “Trio Havana,” led by flute virtuoso Itai Kris. David Broza (guitar & vocals) is considered one of the world’s most dynamic and vibrant performers. From his whirlwind finger picking to Flamenco percussion and rhythms, to a signature rock and roll sound, his charismatic and energetic performances have delighted audiences throughout the world. More than a singer/songwriter, he is also known for his commitment and dedication to several humanitarian projects, predominantly, the Israeli-Palestinian conflict. Since 1977, when his hit song “Yihye Tov” first hit the airwaves, he has been working to promote a message of peace. The song’s lyrics, roughly translated as “Things Will Be Better” struck at the heart of the issue – that people all over the world want peace. Broza was awarded a Spanish medal of honor by the King of Spain, Juan Carlos I, for his longtime contribution to Israel-Spain relations and his promotion of tolerance. He has also been named a Good Will Ambassador for U.N.I.C.E.F. A powerful musician, passionate peace advocate and music industry innovator, David Broza awes and inspires audiences with his sincere message and musical allure. 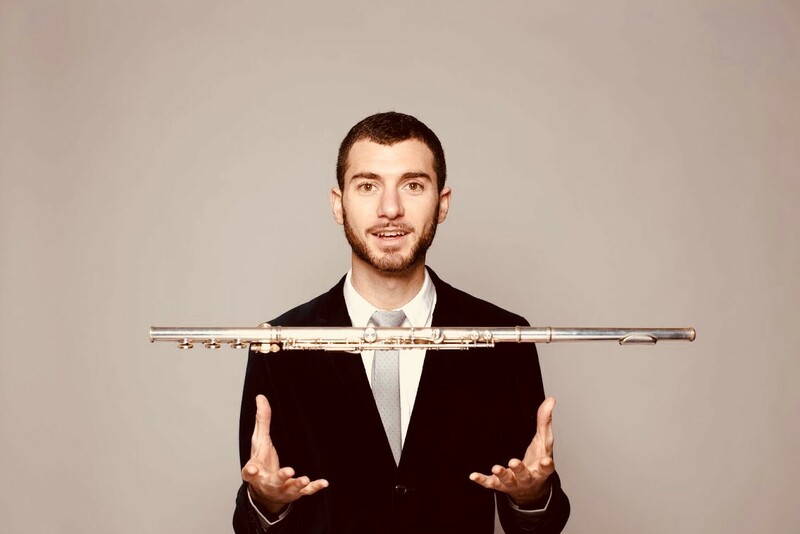 Itai Kriss, a recording artist praised by Jazzwax as “one of the most exciting new flutist-composers” on the scene, commands a variety of musical genres with an eclectic style infused with Jazz, Latin and Middle Eastern sounds. According to Downbeat Magazine, there is a “tangy, exotic flavor” to the New York musician’s style, which can be heard on his latest album, The Shark. 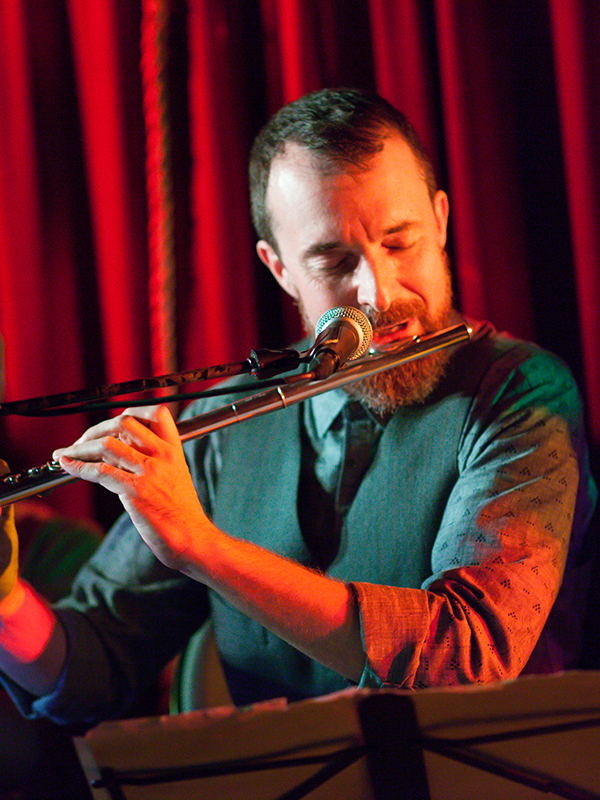 The album features Kriss’ “soaring technique and phrasing that is both aggressive and pastoral,” which displays the versatility of his command of the flute, shifting through genres from funk and reggae to salsa and Arabic stylings with fluid ease. 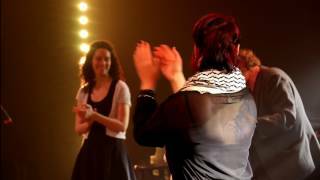 Having spent the past 15 years working at the forefront of New York City’s Jazz scene while performing, recording and touring with some of the world’s top afro-cuban, Latin and Salsa artists, flute virtuoso Itai Kriss now fuses the sounds of his native Israel with those of his adopted homelands in the Americas with his band TELAVANA. 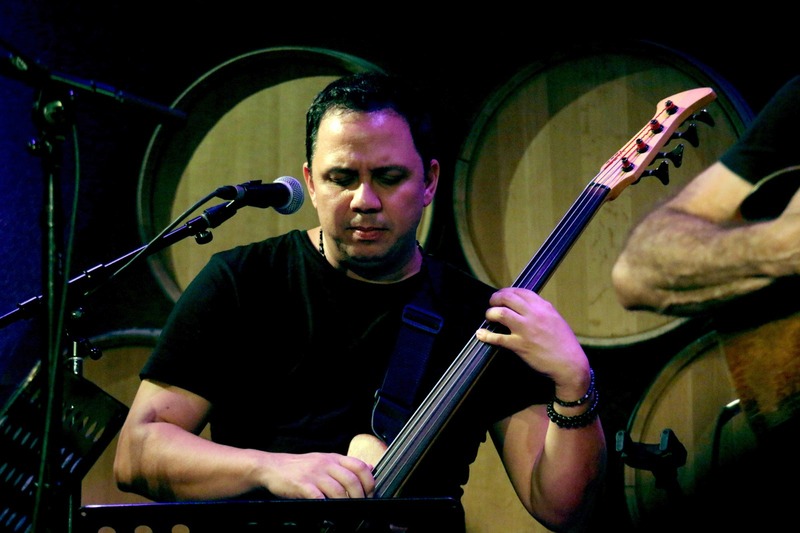 Jorge Bringas (bass) was born in 1977 in Havana, Cuba and began his music studies at the age of 11 in La Paulita Concepcion, an elementary music school. In 1996, he graduated from Escuela Nacional de Arte, where he studied with master Cuban bassists, Carlos del Puerto. Prior to completing his studies, he began playing and touring with Omara Portuondo of Buena Vista Social Club fame. In the late 90’s, he settled in Miami where he became Albita Rodriguez’s bassists and musical director. He also recorded on the Grammy® Award-winning album, Albita Llegó. Also in Miami he had the great opportunity to perform and tour with the late great Celia Cruz. Amongst other artists he performed with Nachito Herrera and was one of the founding members of the Timba band Tiempo Libre. Later, Jorge came to New York where he has performed and recorded with Arturo O’ Farrill, Marc Ribot , Pedrito Martinez and the LP Allstars, Alfredo de la Fe, La Excelencia, Telmary Diaz, Cándido Camero, David Oquendo, Ileana Santamaria, Kiku Collins, Quimbombo, Nu d’lux, Steve Gluzband and Orlando “Puntilla” Rios, amongst others. Manuel Alejandro Carro, a.k.a. "MannyA”, is a New York based Cuban artist of many talents: a singer songwriter and a master percussionist who is at home in many musical genres. From Ballads to Latin songs, which he fuses into Urban Music, aficionados are coalescing around his exceptional lyrics and tunes. In 2017 he was awarded third place in the Latin Music Category in the International Songwriting Competition (ISC), a prestigious honor he received for his single “Que Siga La Gozadera”. 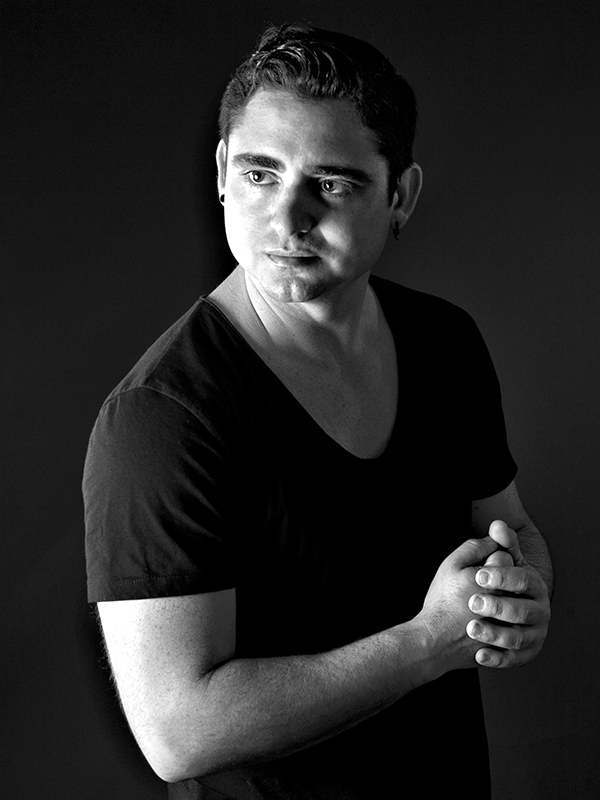 For his collaboration with Andy González as a singer, lyricist, and percussionist on the album “Entre colegas”, he was nominated for a Grammy. With his two newest releases, “Tu Corazoncito”, and "Que Siga La Gozadera”, he is fast becoming a rising star of Urban Latino. You can see it and experience it in the groundbreaking videos (“Tu Corazoncoito”, “Que Siga La Gozadera”, and "El Pintor,"), which have already received hundreds of thousands of views. These songs are several that will be released on his upcoming EP. The EP follows his debut album, "Ser Grande Por Dentro," which created an awakening in the Latin pop world and which established Manuel as a powerful presence. “Ser Grande Por Dentro”, is a series of relflections, or “inspiraciones”, on universal themes of love, artistic passion, and the search for higher meaning. Yuniel Jimenez "El Guajiro" (The Country Boy) (tres-guitar) is a singer-songwriter and a master tres player who came from Santa Clara, Cuba to New York City. He brought with him not only his tres-guitar but a piece of the country side of Cuba to the Big Apple. In 2012, he described his experiences in a single ¨Un Guajiro en Nueva York¨ which was also the tittle of his first album. The 12 track album depicts various life situations inside and outside of Cuba through the eyes of the Cuban singer-songwriter. In 2015, his second CD, called Hay Gente Pa' To'.... was released. This is an album that has been enjoyed by a more diverse public. In 2017, ¨La Malicia¨ and ¨Hay Gente Pa´ To´ won the hearts of people of Medellin, Colombia and were voted #1 songs for six consecutive weeks in Latinastereo Radio Station. The genuine lyrics and unique sound of the Cuban Tres in that album will enchant any language speaker and certainly make a music listener dance! Xianix Barrera (flamenco dancer), a native New Yorker born to Puerto Rican and Dominican parents, had her first exposure to music and dance at a young age in ballet, modern, jazz and percussion. Xianix began flamenco studies in New York and deepened her training in Madrid and Sevilla with distinguished masters of baile, cante and toque from contemporary artists to the purest gypsy families. Xianix performs nationally and internationally with various flamenco companies including Soledad Barrio & Noche Flamenca, Flamenco Vivo Carlota Santana, Flamenco Por La Vida and Pasión y Arte sharing the stage with artists such as Isabel Bayón, Raquel Heredia, Rosario Toledo, Soledad Barrio and Juan Ogalla. She has performed at such prominent venues as the Joyce Theater in New York, Tablao El Duende in Copenhagen, the Red Theater in Abu Dhabi and Cafe Silverio in Sevilla. In addition to being an accomplished performer, Xianix is a highly sought-after teacher giving flamenco master workshops across the U.S. including the Joyce Theater and New York City Center during its annual Flamenco Festival. 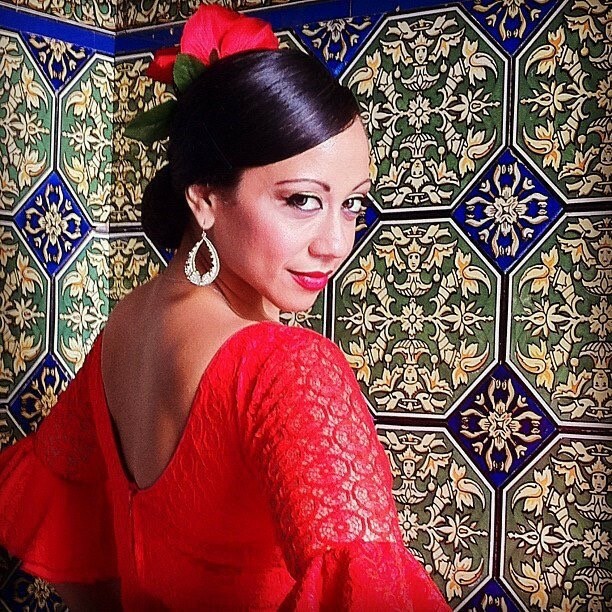 She currently teaches flamenco dance to adults, children and seniors in New York City. Alfonso Cid, flamenco singer and flute payer, was born and raised in Sevilla, the heartland of flamenco music. His mother, an amateur singer from Triana, a flamenco enclave in Seville, and his grandfather, an aficionado of flamenco, were his earliest influences. He also had the opportunity of attending the activities of one the most significant flamenco clubs in Andalusia, the Peña Flamenca Torres-Macarena in Seville. Alfonso enrolled at the Seville Conservatory in 1990 to study flute and music theory. He was awarded two scholarships to attend the intensive summer course at the Cristina Heeren Foundation for Flamenco Art on July 2007 and 2008 in Sevilla. He had the honor of recording backing vocals in the song titled “Mi Santa” on the album titled Formula Vol. 1 by popular Latin artist Romeo Santos featuring the great flamenco guitarist Tomatito. On November 2011, he was invited by conductor Tom Cohen to perform at the Festival Sepharad in Montreal alongside the legendary Rabbi Haim Louk. He was also invited by Cohen to perform in a seven cities tour of Israel on November 2016 with The Jerusalem Andalusian Orchestra. In 2011 he performed with singer songwriter David Broza in his annual December 24th performance at the 92Y in New York City. 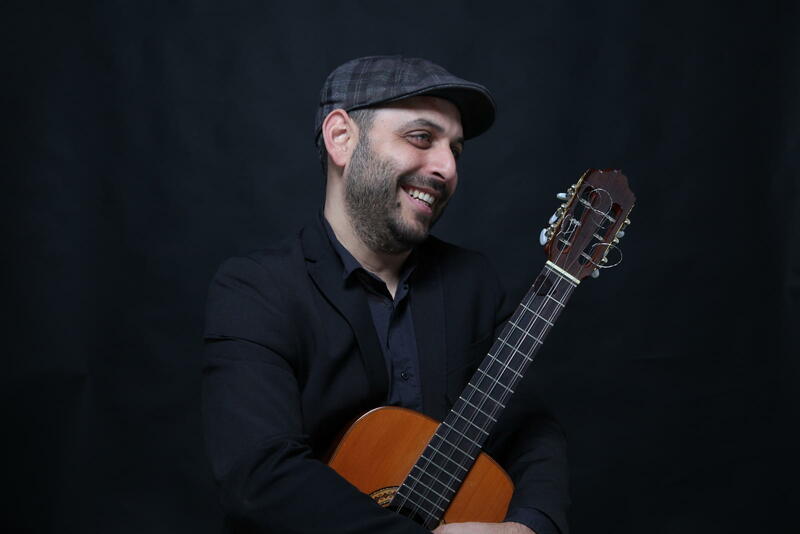 Alfonso has toured extensively throughout the USA, Latin America, Israel and Europe, and has just toured Spain, France and Italy on 2017 and 2018 with the jazz/flamenco band the New Bojaira Project by pianist Jesús Hernández from Granada, Spain. He released his first CD titled “Flamenco de vuelta e ida” on 2006 with the flamenco fusion project “Gazpacho Andalú”. He has also released an album with his own Spanish indie rock band “Dientes de Caramelo” titled “Pulpo” (Octopus) in March of 2012 as well as three singles throughout the summer of 2015. He is just about to release an album with the New Bojaira jazz/flamenco Band.